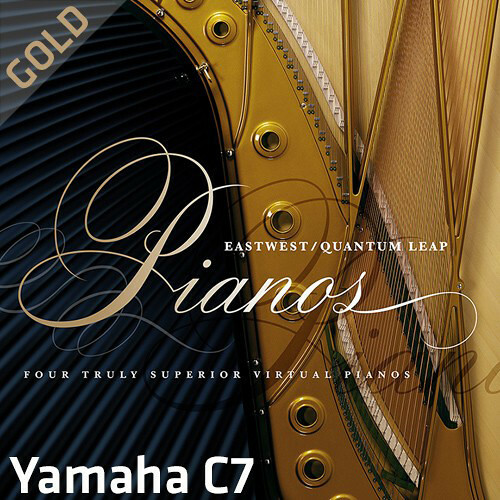 Available for download, the EastWest Quantum Leap Pianos Yamaha C7 Gold Edition is a virtual piano that offers a bright tone perfect for rock and pop. This particular piano was utilized on a wide swath of famous pop and rock records. This library distinguishes itself not only by its brilliant, clear timbre, but also by the attention paid to sampling the software dynamics of the instrument. The gold edition offers 16-bit samples rather than the 24-bit samples provided in the Platinum version. It also provides you with a single player-perspective microphone position. All of this is useful for people who have slower computers.